The show explores two Sankaari Bahu’s , Dhanshree and Tanuja along with their nanad Manya. Both the bahu’s are well trained secret special agents. They have been chosen by their Boss who is none other than their Sasurji. This fact is hidden from the rest of the family. So these three will have to play two roles of managing their household chores as well as solving national conflicts and their biggest challenge will be to fight with the might and dangerous DON GAMASHA. 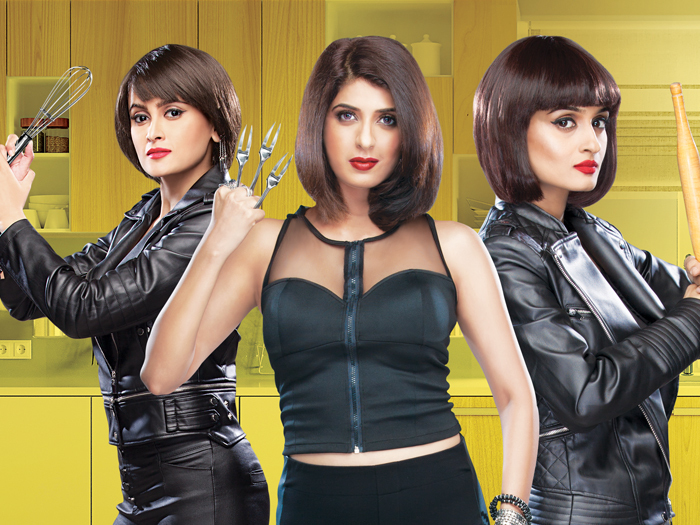 Each episode will explore domestic and national conflicts which the three women will solve and they have to manage to keep this secret and will be seen jumping from being bahus to being super agents as well as they will have to find different ways of handling their mother in law (Saas) who is always keeping an eye on them and keeps giving them different household work.